Scorcher Hi Fi Is A Sound Created By Cojie & Sticko a.k.a. Truthful(Fire Ball) Of Mighty Crown. Tune For Tune , For That Moment , They Select Their Tunes, Mainly Roots And Culture, Dub And Steppers. Their Sound/Image/Message Combine Into An Art Form That Brings Fire Into The Hearts Of People , As They Are Known “Scorcher”. 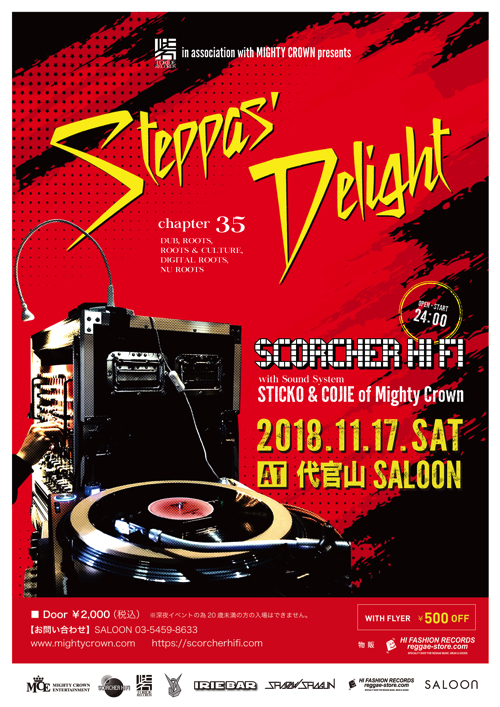 You Can Experience Scorcher Hi Fi With Mighty Crown Speakers And Their Original Pre-Amps At Club Saloon in Daikanyama Tokyo Regularly.